The causes can include, Ageing – it may naturally develop as you age, Genetics – simply said, it may be a part of your DNA or weight changes. Sometimes, no matter how much you diet or exercise, the fullness in this area may not go away, and it may make you feel like you look older and heavier than you actually are. 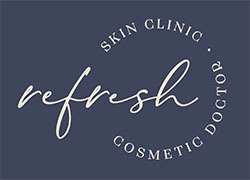 At Refresh, we can offer you a treatment which will produce a visible improvement in the appearance of the chin profile in 2-4 treatments. Some clients may require up to 6 treatments which can be administered 4 weeks apart. The active ingredient in this treatment is synthesised deoxycholic acid. Deoxycholic acid also occurs naturally in the body and helps to break down dietary fat. When injected below the chin, this product reduces fat, resulting in a more contoured neck profile and jawline. As this is a prescription only treatment, you will be assessed and treated by our Cosmetic Doctor. The injectable treatment is performed in our clinic and should take approximately 20-30 minutes. 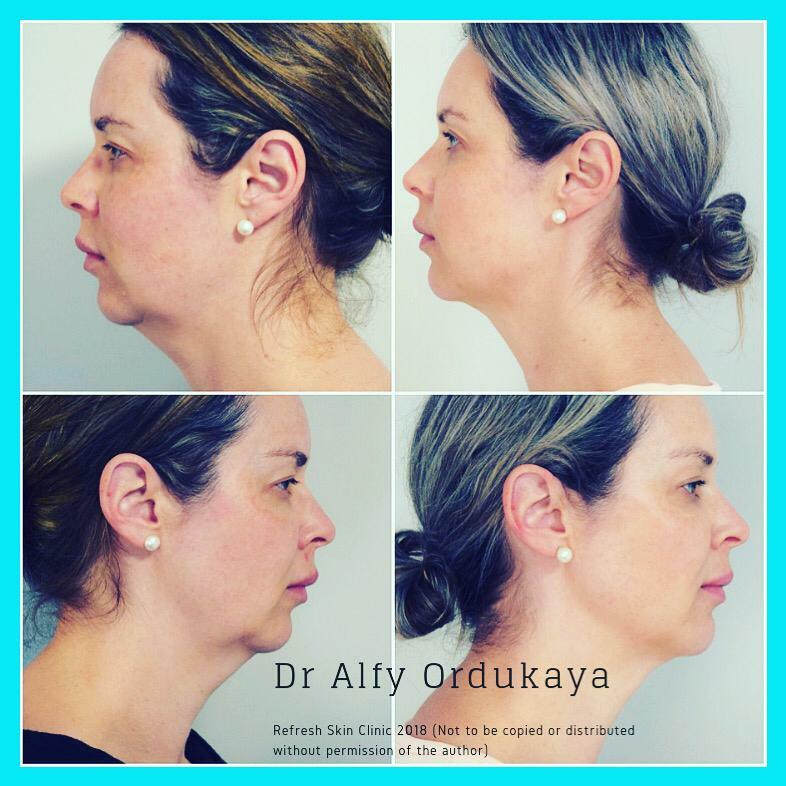 Many clients treated experience visible improvement of their chin profile in 2-4 treatments. Some people require up to 6 treatments in order to achieve their best results. As with other injectable treatments, you may experience side effects. Most clients experience mild to moderate pain or discomfort at the time of the treatment. Some tenderness and swelling may be present for 7-14 days following the procedure. Prior to the administering the treatment, the Doctor may apply ice/cold packs or topical and/or injectable local anaesthesia (eg. Lidocaine) to the treatment area to make you feel more comfortable. It is also advisable to take an over-the-counter pain medication before your appointment.